On Wednesday, October 10, we expect to be offering PSAT to 800 students and the SAT School Day to approximately 90 students. We will run a modified schedule where periods 4 & 5 are switched. Students will go to lunch with their 4th period class as always, but it will occur later in the school day—after 5th period. We will attend classes in this order 1, 2,3, 5, 4, 6. Please see below and share with students. 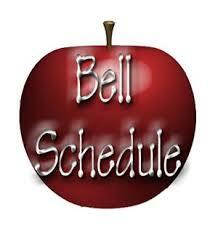 Bells will be on silent until we dismiss to 4th period/lunches beginning 11:15am. Thank you.